Thanksgiving is tomorrow, and with so many things in my life for which to be thankful, I’ve decided to focus in this post only on those which are Compassion-related. Logan with our sponsor children: Osmar, Winston and Hania in Guatemala. Logan sponsors Osmar on his own. Guatemala Sponsor Tour: In July, I had the incredible opportunity to travel with my son Logan to Guatemala for a sponsor tour. This was my second Compassion tour, and it was every bit as amazing and special as the first. There are so many aspects of this tour that stand out, but here are the parts for which I am most thankful: meeting my sponsor children in person; meeting other sponsors, including many who are Compassion staff here in the United States; meeting the Compassion staff in Guatemala; experiencing the sights and sounds of this beautiful country; and most of all, doing all of this with my son. There are no words to fully describe meeting your sponsor children in person. It is an experience filled with emotion, and the opportunity to see their facial expressions and movements, to interact with them and to meet their parents and project workers, really adds so much to the relationship. It is definitely the highlight of a sponsor tour. Sponsors and translators in Guatemala. A close second, though, is meeting the other sponsors on the tour. They are, in a word, amazing. While they share a love for children in poverty with you, they come from all over the country, with all kinds of unique experiences to share. And long bus rides and many meals offer lots of time for sharing. Sometimes you are lucky enough to meet members of Compassion’s U.S. staff on these tours, and they can give special insight into the ministry, and always confirm to me what a great organization Compassion is. These new friendships are invaluable. Meeting the in-country staff is really fun as well. These very special people are dedicated and hard-working, and they are a wonderful source of information about Compassion and their country. They love their country and its children, and they love us sponsors. On our last night in Guatemala, one translator said to me, “Thank you for loving our children.” To be thanked after being blessed so greatly all week by her was quite humbling. Logan and Favian, our formerly sponsored child and Compassion graduate. Making this trip with my son, who is 14 years old, is something neither of us will ever forget. To share so many wonderful experiences was priceless. I deeply enjoyed watching Logan make new friends, interact with the children at each project, and take in all of the new things going on around him. Since returning home, I have seen the ways the trip has changed him many times. He seems to have a deeper appreciation for the many blessings in his life. Logan Becomes an Advocate: After returning from Guatemala, Logan was on fire for Compassion and its ministry. Within a week, he decided to become an advocate. 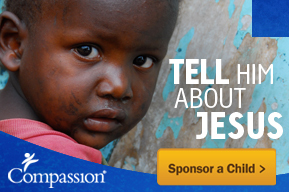 He sponsors his own child in Guatemala, and he corresponds with another child in Kenya. He is passionate about helping children who are living in poverty, and I am proud of him. Sponsoring Gladys: We did not sponsor a new child while on the sponsor tour in Guatemala, but we did sponsor a new child two months later from one of the centers we visited. I had requested child packets from centers we visited on the sponsor tour in hopes of connecting sponsors to children from the areas I had seen in person and photographed. One of the five packets I received was for a little girl who looked very familiar. After looking through my trip photos, I found a photo of her with Logan, so we welcomed Gladys into our sponsor family! Continued Close Relationships with my Children in Nicaragua: After meeting my four boys in Nicaragua on a sponsor tour in 2014, we have continued our relationships with great letters filled with love. They are truly members of my family, and I know they feel the same. I can’t wait to visit them again. Letters: Letters are our connection with our sponsor children, and this year, I continued to write monthly to each of my children, and to receive many letters in return. It can be a slow process, but it is worth it to build these relationships. Our letters are a blessing to our sponsor children, but their letters equally bless us. Logan with the Compassion Experience truck. Compassion Experience: In May, Logan and I volunteered at Compassion Experience. I had been waiting for Compassion Experience to come to my city, and was so excited to have this opportunity. I was thrilled to see how accurately Compassion has recreated sponsor children’s homes and projects to tell their stories effectively. For more information about Compassion Experience, click here. Concerts: Another great opportunity to be involved with Compassion is in volunteering at concerts. Compassion partners with musicians who sponsor children and promote the ministry by encouraging others to sponsor as well. We volunteered at concerts by For King and Country and Matthew West this year, and more than 100 children were sponsored at each event! It is a lot of fun to see new sponsors connected to waiting children. Sponsorship Anniversary: Finally, this fall marked five years since I first became a sponsor. When I chose my first child, I never would have imagined that in just five years, our sponsor family would continue to grow, and I would leave the country not once, but twice, to visit my sponsor children. This has been a wonderful journey with Compassion, and I look forward to seeing where it leads in the future. If you are interested in beginning your own Compassion journey, please click here to see the many children who are waiting for sponsors. Contact me if you have any questions. Happy Thanksgiving and God’s Peace! I find it hard to express in words the emotions in meeting my sponsor children, so I’ll let this short video show the beauty of the moment. This video shows me meeting my two children, Winston and Hania, in Guatemala on child visit day, and my son Logan meeting his sponsor child, Osmar. Winston’s father, Guillermo, prepares to race his son on the inflatable obstacle course. Child visit day is special in so many ways. There is nothing like those first hugs with the sponsor children to whom you have been writing. Having the opportunity to observe them in person, to talk and play with them, and to see their facial expressions gives great insight into their personalities. You learn things that you just couldn’t learn through letters. And as wonderful as all of those things were for me to experience as a sponsor, there was an added beauty in the day in being able to see my sponsor children’s parents joining in the fun. Winston’s father on the obstacle course. These are parents who struggle to provide for their children daily in ways it is impossible for me to imagine. Yet in spite of the difficult circumstances they face, they each took a day off work and traveled several hours by bus to meet me, a stranger from another country who sends letters to their children. It was humbling to meet them and to receive their thanks throughout the day. It was heart-warming to be accepted instantly into their families, as their sister in Christ; to be loved as one of their own. And it was beautiful to see the joy on their faces as they played with their children. After Winston beat his father, Guillermo, in an obstacle course race, his dad requested a second race. He wanted another chance to win against his son, and he did. And the smiles and laughter between father and son were priceless. Hania’s mom, Onifacia, seemed quiet and shy at first, maybe overwhelmed by the day’s events. But with an air hockey paddle in her hand, she was a fierce competitor! After I played several games with her daughter, I invited Onifacia to give it a try. She was tentative at first, getting a feel for the game, but in no time, she was slamming that air hockey disc hard and fast across the table, smiling the whole time. And Osmar’s mother, Delores, had an easygoing, fun-loving manner that was impossible to resist. We were teammates in a serious boys vs. girls soccer match, where I saw her steal the ball from her son more than once, and tease him about it afterwards. Quick moments in a day filled with emotion and activity, but priceless and unforgettable memories that I’ve tucked away, as I’m sure those parents and children have as well, to be treasured forever. Hania’s mother dominating the air hockey table. Osmar’s mother guards the goal. The racers take a break: Guillermo, Winston, Osmar and Logan. These girls at the side of the stage are watching their peers perform traditional dances to welcome Compassion sponsors to their project, GU-479. They are wearing traditional Mayan clothing, and they live in the mountainous community of Cantón Paxot II, Guatemala. The road to GU-479 in Cantón Paxot II, Guatemala. After a 3-hour drive north from Antigua through lush mountains with beautiful valley views, we were greeted by firecrackers upon arrival at Compassion project GU-479. Children lined up to greet us when we arrived. Playground at GU-479. New classrooms are being built at the right. Compassion International has been partnered with Metodista Paxot II, a church in the community of Cantón Paxot II, Guatemala, since 2012. The area is home to about 1,500 residents, and the most commonly spoken language is the Mayan language Kiche. Children lined up outside of our buses to shake hands and greet us before leading us down a rural road to their project, where they performed many traditional dances for us, including a dance to honor St. Thomas, the dance of the monkeys, the stealing of the bride dance, and the dance of the bull. It was an honor to be among the first group of sponsors to visit this project. The staff and parents were warm and welcoming in this remote community, where we learned the most common health issues are intestinal diseases and respiratory illness. The community has water and telephone service, but needs employment opportunities, public transportation and vocational training. Most adults are unemployed, but some work as day laborers, earning the equivalent of $75/month. Jaymerson, born Sept. 9, 2007. Jaymerson, 8, lives with his parents and six siblings. He is responsible for gathering firewood and running errands, and his father works as a farmer. He enjoys soccer, basketball and playing with cars, and he attends church activities and Bible class regularly. Jennifer, born March 24, 2005. Jennifer, 10, lives with her parents and one sibling. She helps care for animals and makes beds at home, and her father works as a farmer. She enjoys playing house and playing with dolls, and her performance is average in school. She attends church activities and Vacation Bible School. Fernando, born May 29, 2008. Fernando, 7, lives with his parents and two siblings. His duties at home are carrying water, gathering firewood and making beds, and his father is a farmer. He enjoys playing soccer, swimming and playing with cars, and he attends Bible class regularly. William, born July 9, 2004. William, 11, lives with his parents. His father works sometimes as a farmer, and there are two children in the family. He enjoys playing soccer, ball games and bicycling, and his school performance is average. William also attends Bible class regularly. A view of the area with the church in the background. If you are interested in sponsoring one of these children, please contact me. Sponsorship costs $38/month, and the benefits to both the child and the sponsor are priceless. Compassion has worked in Guatemala since 1976, and there are more than 130 child development centers in the country, serving more than 32,400 children. Compassion works in 27 countries world wide. If you would like to sponsor a child in another country, please click here to see children available for sponsorship. Los guapos, my friends in Cantón Paxot II, Guatemala. These are my friends at Compassion project GU-479 in Cantón Paxot II, Guatemala. They wanted me to take their photo while leaning against a motorcycle outside, and when I showed the photo to them, I said, “muy guapo” (very handsome). They thought this was so funny that they spent the next several minutes giggling and punching each other. I actually checked with a Spanish speaker to be sure I hadn’t said the wrong words, and I hadn’t. The boys just thought it was funny that I called them handsome.